"The Estate Agent said I should use their solicitor!" I often hear this from friends and acquaintances who then complain about the Conveyancing Solicitor to whom they were referred.This is not to say that all solicitors on an estate agent's panel will offer poor service, but some do. Sometimes an estate agent will refer you to a Conveyancing Solicitor because the agent will then take a fee from the solicitor for doing so. In some cases the estate agent refers the conveyancing to a middle man who then refers it to a solicitor on their panel. In which case both the agent and the middle man take a referral fee from the solicitor! By now the solicitor is giving so much of their fee away to the two referrers that there is very little if any profit left.Therefore, there is a tendency to use unqualified staff.The client is still paying the same amount of money but is now possibly receiving a poorer quality of service. An estate agent is obliged to act in a professional manner whether or not you use a solicitor suggested by them .Why not ask how much they are going to receive by way of payment for making a referral to a particular solicitor? Why the middle man becomes involved at all is beyond me.They don't add anything to the process at all, they are in the chain simply to make money. 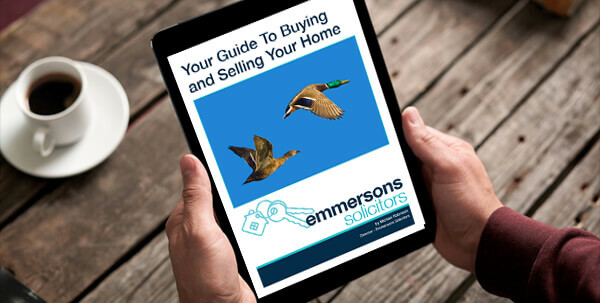 At Emmersons Conveyancing Solicitors, if you ask us for a free quote and then instruct us to act on your behalf , you have already cut out the middle man. We send out your information pack the same day or at the latest the next day.We are quite happy to keep you informed as to the progress of your case.As we are able to give information directly to you this cuts down on confusion and misinformation. Remember, we are the experts we understand what is happen­ ing on your file from a legal point of view. Whilst an estate agent or middle man is there to progress your case as quickly as possible , they are not concerned with the legal issues.We are there to protect you as you deal with what could be the biggest purchase or sale of your life.Your solicitor, if you have a mortgage, is also acting on behalf of your lender. It is essential to follow the require­ments of that lender. We are also obliged to keep private the confidential issues that may crop up in your case.There may be things that you do not want others to know. A common occurrence is when an application for a mortgage is delayed because you may have an adverse entry on your credit history.This could be something as simple as a dispute with a mobile phone provider. In which case you need a solicitor who can protect your position to avoid you losing the house of your dreams! Or, consider the example of New Build properties. Purchasers are usually under enormous pressure to complete quickly.We would investigate your title thoroughly, we are not afraid to challenge a builder's solicitor if the title looks defective.What if you couldn't reach your garden or dustbins because the plans are badly drawn? Yet we still pride our­ selves on being able to complete such purchases very quickly.